· Tell Congress We Want Out of the U.N. and the U.N. Out of the U.S.
· Nothing going on at the U.N.? Seems so via the silence of U.S. Press!!!! · BOSTON GOT WHAT IT DESERVED says Obama UN buddy !! Article 1 Bill of Rights. Va. Constitution Va. Con. Art. 1 § 2 (1971) Section 2. People the source of power. — That all power is vested in, and consequently derived from, the people, that magistrates are their trustees and servants, and at all times amenable to them. 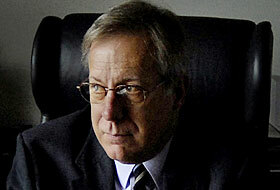 In their responses to a UARF Virginia Freedom of Information Act Request made to the Court and is Custodian, Woolard. Michal Bogacki, Deputy Executive Director [DED] of the Unalienable Rights Foundation [UARF] told HCN that when we attempted to see the policies and procedures that touch and concerns the operations of the General District Court under Virginia's Freedom of Information Act several times of in the past several months the Court's employees refused to allow him to see those records. memorandum that have been posted;"
On June 19, 2015, the above-styled cases were on the docket in the Virginia Beach General District Court, (VBGDC), Civil Division. 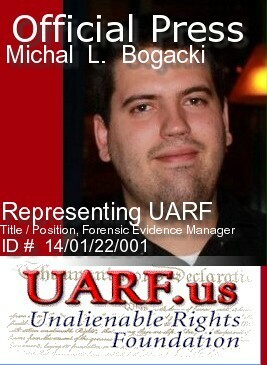 Mr. Michal Bogacki personally and as a Civil Rights Case Manager, for the Unalienable Rights Foundation [UARF] and both of which are the Petitioners, appeared in person, before the court was in session, and requested that these two matters be non-suited. Mr. Bogacki followed the Deputy Clerk’s instructions and completed the non-suit paperwork. These cases were brought before the Court because the Unalienable Rights Foundation filed a Freedom of Information Act (FOIA) request to examine the inner workings of our government and we were denied access to these records. Therefore, an injunction/writ of mandamus was sought, which is the remedy pursuant to the Code of Virginia for these violations. Unfortunately, we learned a few days later that the two cases referenced above were denied and dismissed with prejudice, instead of being non-suited. On June 26, 2015, one week after the original court date, Michal Bogacki and a group of concerned citizens appeared at the VBGDC Clerk's Office, Civil Division, to inquire how, why and what happened to the non-suit papers. I spent approximately 40 years working in both the state and federal court systems. I was convinced that this was just a "clerical mistake" and not another Judge Campbell scandal. I explained to the group that hundreds of cases are on the civil court docket every day and that mistakes do occur. However, the Respondent in these two matters is Mayor William Sessoms, who is presently under investigation by the FBI and the state police for over 60 conflicts of interest violations. Therefore, there was a great deal of skepticism within the group. I urged the group to  wait before drawing the wrong conclusions  wait until we were able to ascertain all the facts. When I worked in the state/federal court systems, as a public servant, I was trained to assist individuals in the courtroom and at the counter. That training included if a "clerical mistake" occurred, to immediately bring the mistake to the judge’s attention to correct the records. If it was not a "clerical mistake" and the litigant was unhappy with the outcome of the case, I would have provided pertinent information regarding the policies and/or procedures including local rules of practice relating to the appeal process and/or how to file a motion to reopen/rehear to amend a wrong perceived by the litigant. Unfortunately, our experience at the VBGDC, Clerk’s Office on June 26, 2015, was quite different. The litigant was not provided any information about an appeal, or how to reopen/rehear a case nor was the litigant/UARF afforded or presented with any relevant or pertinent court policies or procedures to rectify this wrong either verbally or in writing. I admit that the Unalienable Rights Foundation is very savvy as to the Freedom of Information Act. I also admit that I worked in the court systems [Federal and State] but it has been thirty years since I was employed in the Norfolk General District Court, Civil Division, and the whole world has changed since then. More importantly, my employment status with the court system was unknown to anyone and, we were, as far as the Clerk’s office was concerned, just a group of concerned citizens/customers [UARF] trying to work our way through the complex maize of the legal system needing assistance and guidance to redress a grievance. Despite the lack of assistance from the Clerk’s Office, UARF and Bogacki decided that Petitioners would put their best foot forward and proceed to try to rectify what we and the Petitioners still believed was a "clerical mistake." UARF conducted some research and eventually found the code section regarding "clerical mistakes." Using this information, on July 8, 2015, Mr. Bogacki and I again went to the VBGDC and hand-delivered a document to the Honorable Gene Woolard, Chief Judge of the VBGDC, and Mr. David M. O’Dell, Clerk of the VBGDC. The document dated July 6, 2015, contained a brief summary that set forth the  exchange between Mr. Bogacki and the staff/members of the VBGDC Clerks’s office on June 19th and 26th,  as well as the Virginia Code Section regarding "clerical mistakes"  and the actual errors/mistakes. We were still hoping to resolve this issue amicably so that we could proceed with the hearing on the Injunction/Writ of Mandamus [after refiling the petition] (A copy of the July 6, 2015, document is in the attachment below for your review). When we hand-delivered this document to Mr. O’Dell, he did not bother to glance at it. Mr. Bogacki asked him a few questions but for the most part his answers were head movements. I have never been very good at reading facial sign language. One of the few direct verbal exchanges occurred as we were leaving the Clerk’s office. 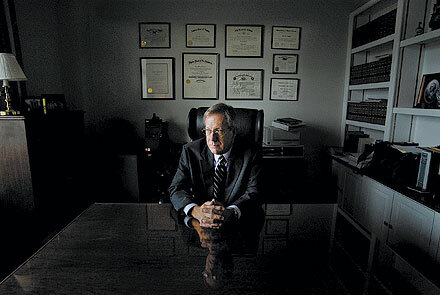 I mentioned to Mr. O’Dell that I had been a courtroom deputy in the Norfolk General District Court, Civil Division. His response was, and this is a direct quote: "Well, all courts are a little different." Therefore, based on Mr. O’Dell’s own statement, why were we left to our own devises to determine the local court’s rules instead of being afford the necessary relevant information to resolve what we, at the time, believed be to an oversight by the VBGDC? This begs the question, "Does Mr. O’Dell believe that he only has to "serve certain customers that come to the lunch counter? " Mr. Bogacki appeared again at the VBGDC, Civil Division, on Friday, July 17, 2015, to file motions to rehear/reopen the two cases. On my advice, Mr. Bogacki requested that the hearing date be set several weeks in advance to accommodate the substitute Judge, Trevor Robinson’s schedule, , the Judge that presided over the matters listed above. We wanted to make sure that Judge Robinson would be available, so that this dispute would once and for all be resolved. The clerk denied Mr. Bogacki’s request to set this matter on the docket several weeks in advance. Mr. Bogacki asked the Clerk if there was a code section or a written policy or procedure that he could review that prohibited his request to have a later court date. Mr. Bogacki’s reluctance and apprehension to depend or trust the information from another clerk at the VBGDC is certainly, under the present circumstances, a very reasonable and completely understandable request. That old adage "fool me once, shame on you, fool me twice, shame on me" was certainly Mr. Bogacki’s mindset, and who could really blame him? After all, this is Mr. Bogacki’s 4th or 5th time at the Clerk’s office in less than a month. We don’t know if Judge Robinson, the City Attorney, Jane Evans and Jewell [whom O’Dell and the rest of his staff refused to give her last name to Bogacki] from the Clerk’s Office will be available for the August 3rd hearing, which means another delay in moving forward with our Injunction. How many more times do we  as citizens have our Constitutional rights denied [VA. Code Sec. 42.1-77]  have to appear to find out what happened and  why it happened, so that all of these obstacles can be corrected in order to bring the injunction/writ of mandamus before the court pursuant to the Code of Virginia [Va Code Sec. 2.2-3713]? We would simply like the services/rights, as designated by the Virginia Supreme Court’s own website that states, "Our aim is to assure that disputes are resolved justly, promptly, and economically through a court system united in its structure and administration."